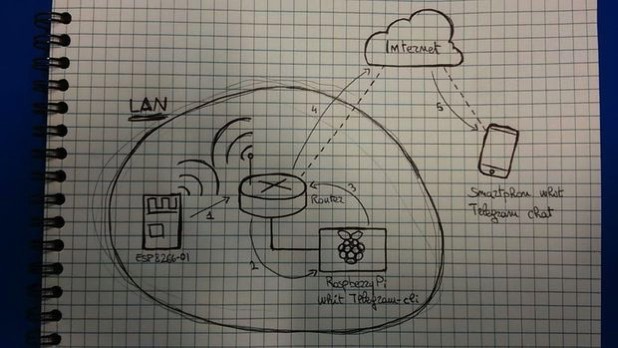 AlarmPi – IoT Alarm System #piday #raspberrypi @Raspberry_Pi « Adafruit Industries – Makers, hackers, artists, designers and engineers! 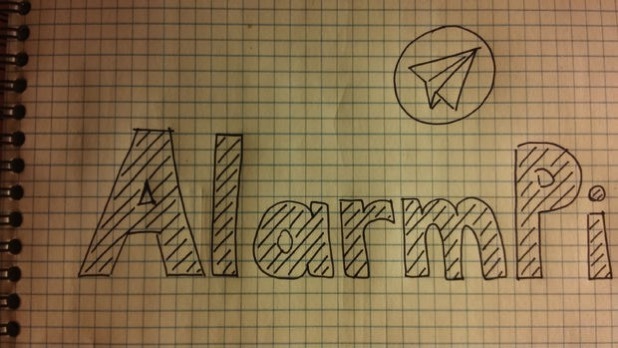 AlarmPi is an alarm system ESP – Raspberry Pi – Telegram based. The ESP module works as device for reading the sensor (in this case, for motion detecting by the PIR). 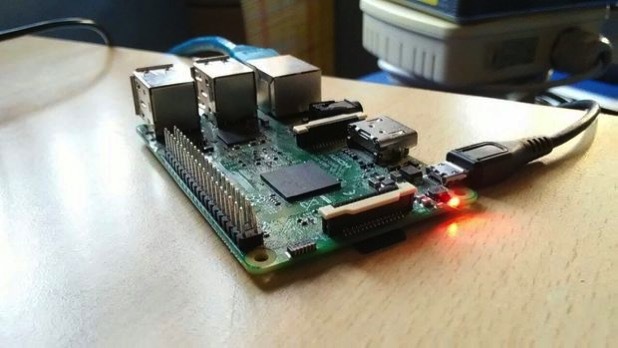 After reading, it sends a message to the Raspberry Pi local server (step 1 – 2). Raspberry server, only intercept this message and send it to you through Telegram (step 3 – 4). Then you will receive message on your own chat (step 5).